Way behind on blogging. High School Football is back in full swing. 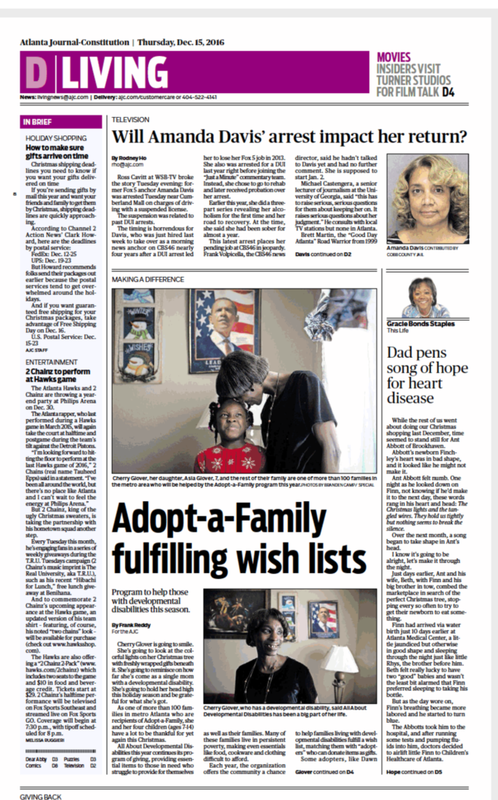 Here are a few shots from my last few assignments for The Atlanta Journal-Constitution. I recently covered the funeral of Americus police officer Nicholas Ryan Smarr, who was shot and killed while responding to a domestic dispute. His lifelong friend Georgia Southwestern University police officer Jody Smith was also killed while responding to the same dispute. It was very painful to watch a small town mourn the loss of one of their own. Here are images from that day. She didn't stop smiling the whole time I was with her. Yet, her story rips your heart out of your chest. She has a developmental disability that prevents her from living a normal life. She has four children, but currently has custody of one, her 7-year-old daughter, Asia Glover. Read her story at AJC's website. I've recently been assigned to a lot of breaking news for the Atlanta Journal-Constitution (AJC). On these specific assignments, I hit the road blindly. I turn the radio on and listen for where the action is and then drive there. On the first couple of images, I drove up Northside Parkway in Atlanta and looked for severe weather damage to photograph after several tornados hit the area. I parked my car on the side of the road and began making my way through neighborhoods that were hit the hardest. Martha Jane Jones, 88, was kind enough to invite me in her home and show damage that hit her neighbors house. Here are some images from severe storm coverage and general weather coverage over the last week. NBC News reached out to me recently and asked me to cover a church service in Atlanta. This was a great assignment where I had to be patient and hunt for the images. The congregation was very thin at the beginning of the service, but eventually filled in. By the way, I live for hunting images. I love when the image isn't there waiting for you. I've recently been focusing on my portrait work more and more as I shoot assignments. Portraits in this kind of situation are tough, because I sometimes only have a few minutes with a subject. I had to quickly walk around and find different places to set up the portrait shot. I settled on one before the service and kept my eye out for where I would shoot the second portrait. I spent about two minutes with Pastor Billy Honor before the service and then another two minutes following the service. On this particular assignment, I was covering a black church's reaction to Republican presidential candidate Donald Trump becoming President-elect Donald Trump. The first shot is of church member Octavia Jones reacting as Pastor Billy Honor was preaching that "IT'S TIME FOR HEAVEN TO START RAISING HELL. YOU HAVE TO BE DILIGENT AND KEEP YOUR EYES OPEN. I WANT YOU TO SPEAK UP. LET YOUR VOICE BE HEARD." It was at this moment that worshiper Octavia Jones jumped out of her seat and spread her arms in front of this beautiful stain glass window and began to shout. I was struck immediately by a man wearing a "Black Lives Matter" shirt in a church. No religion, no politics, right? Here we had religion and politics clashing together.